Do you remember 2007? I do, it was the year I started in tech and it was the year that the HD-DVD and Blu-ray battle kicked off. For AV writers in tech, this was the golden age. Apple had yet to ruin all other tech with its iPhone, which has dominated column inches ever since, and in those days a good format war was great for readership numbers. Back then I loved HD-DVD, and when it eventually lost out to Blu-ray I was sort of sick of discs. 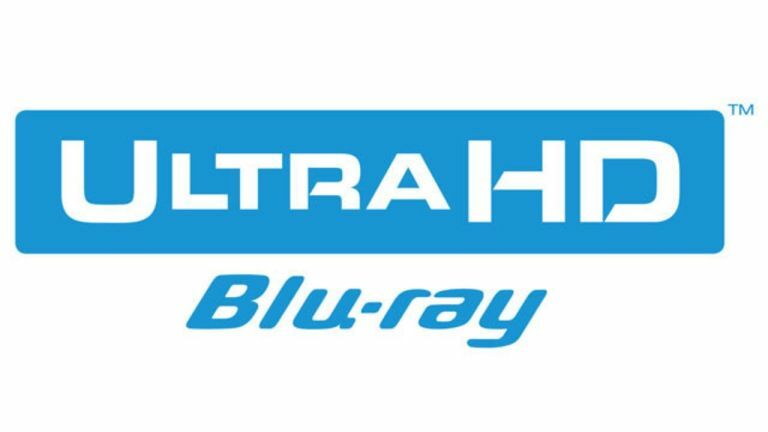 The truth is though, even though I still hate a lot of things about Blu-ray - that interminable start up speed for one - there is nothing quite like a disc to give you the ultimate picture experience. So with the news that we'll see a new, 4K Blu-ray format within a few months I couldn't be happier. For now, 4K is about as good as we're going to get from movies. In the future we'll capture more detail from 35 and 70mm film stock that will take us up to 8K and beyond, but for now, if you want an amazing 4K experience, disc is the way to get it. For those of us like me who have 152mb broadband, streaming 4K should be no problem. And, indeed, it's not for the most part. However it's still not perfect. Every Netflix show I watch starts off as a festival of Tetris blocks while the adaptive bitrate negotiates and eventually delivers the best possible quality. It's a small point, perhaps, but Blu-ray with its higher bitrates looks perfect from the first frame to the last. And, while streaming can certainly offer high bitrates and high frame rates. The problem is, delivering 50 or 60 frames per second at 4K resolutions will tax a lot of home broadband. The newer HEVC which compresses video is all well and good, but it can't perform miracles, and there will, for now at least, be compromises. At this level, you don't really want to be making compromises, you want to see the best possible picture and hear the best possible sound. And what's more, even if you are seeing a 4K streamed picture there are other things that can go wrong. For example, Daredevil on Netflix streamed fine for me in 4K, but refused to pony up a surround sound track. Sound is really important to me, so this is a huge disappointment, and one you don't get on disc. And sound deserves even more comment here, because it's impractical to stream a Dolby TrueHD or DTS HD Master Audio. This means that, while we still get great surround sound, if you want the best possible experience, it's still going to come off a disc. Audio is, and always has been, one of those things that gets neglected, but for me the jump from 5.1 channel sound to 7.1 was the greatest thing to happen to movie soundtracks, and I love hearing them from Blu-ray discs. Why not read Samsung UE65JS9500: The finest 4K Ultra HD TV around? Could anything make you spend £2K on a 4K Blu-ray player? Next month Panasonic is releasing its first Ultra HD Blu-ray player in Japan, what could possibly justify that price?